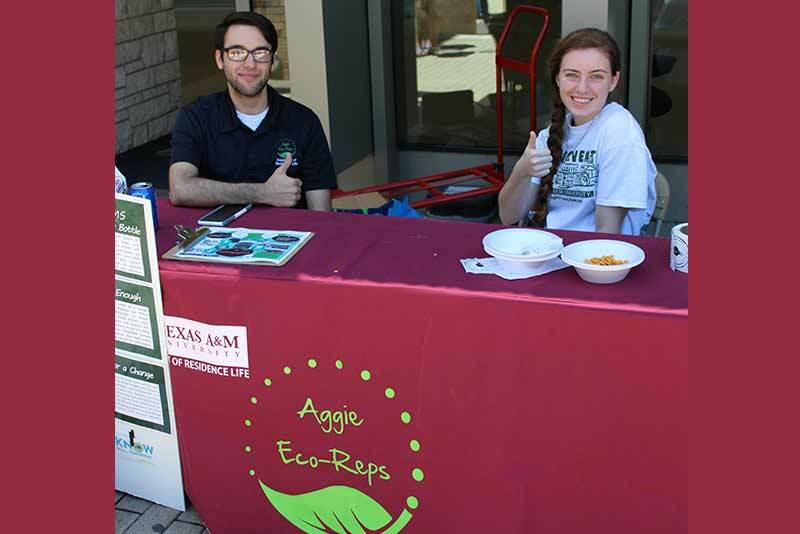 In keeping with tradition, sustainability-themed student organizations and university departments collaborated to form a “Waste Minimization” event at Rudder Plaza from 10am-2pm for Earth Day last week. Students kicked off their weekends by enjoying the booth activities from student organizations and university departments like the Aggie Eco Reps, Environmental Issues Committee, Vegetarian/Vegan Aggies, OneLove, Howdy Farm, Transportation Services, the Sustainability Office, Dining Services, and Utilities and Energy Services. This event was the culmination of “Earth Week” in which the Sustainability Office or a student organization put on a sustainability-themed event. The Environmental Issues Committee graciously coordinated the campus-wide effort. What a great way to celebrate our planet and encourage students to live more sustainably!